Corrigan will customize a dust suppression solution for your application closely monitoring the humidity levels and ensuring optimum conditions for dust suppression. VaporDry™ uses an atomizing nozzle to create a precise dry fog carefully directed to collide with dust, trap it, and bring it to the ground. Corrigan will customize a dust suppression solution for your application closely monitoring the humidity levels and ensuring optimum conditions for dust suppression. VaporDry™ guarantees a cleaner and safer environment for all your employees. 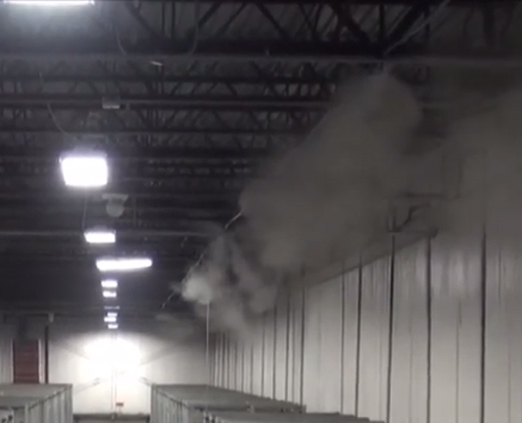 VaporDry™ is most effective in semi-enclosed and enclosed areas. As with all of Corrigan’s systems, VaporDry™ is simple to install, inexpensive and easy to maintain.